This catalogue was first published in 2011, on the occasion of his third solo show at Gallery FIFTY ONE. Two years before he passed away on November 26th 2013. 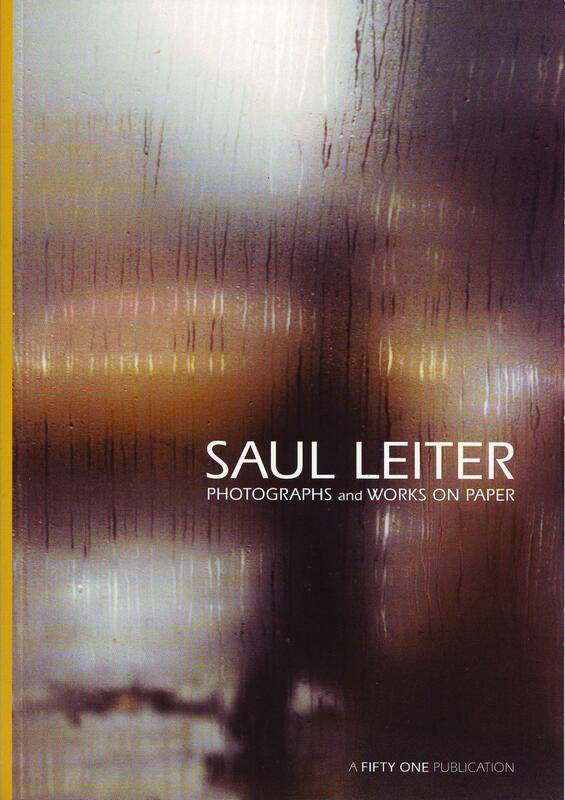 This catalogue features a unique selection of Leiters' photographs and works on paper. Leiter began his career as a painter. In 1948 he discovered photography thanks to a meeting with the abstract expressionist Richard Pousette-Dart. Very quickly, he combined his pictorial and photographic practices. In both disciplines Leiter demonstrates a perfect command of composition, color choices and drawing skills. The influence of his photographs on his paintings and vice-versa is made apparent when the two are presented side by side. His gouaches, rarely exhibited, mostly explore an abstract language made of large color areas in unsaturated tonalities. Similar compositions can be found in Leiters’ early color photographic practice as well, although they are slightly altered due to the medium’s nature.